Debbie Brannan and her husband, Mike, have lived in Grandview Heights for over 20 years and have three children – Ben (Class of 2013), Zach (Class of 2014), and Laura (Class of 2017). Over the years Debbie has been actively involved as a classroom volunteer, MathCounts coach, in the PTO and Band Parents organizations, and other various school activities. She co-chaired the successful 2010 school levy, has served as Treasurer for the Grandview Heights / Marble Cliff Education Foundation, and chaired one if its annual Gala events. Debbie graduated from The Ohio State University with a BS in Electrical Engineering and has always been interested in the STEM (Science, Technology, Engineering, Math) fields. As well, she worked for 10 years at IBM as a Product and then Systems Engineer and enjoys being in a tech support role. 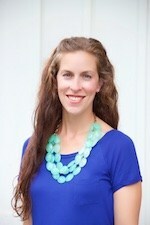 She is presently an instructor at Mathnasium, a tutoring and learning center for elementary through high school math. Debbie was elected to her first term in November 2011. She was re-elected to serve in November 2015. Debbie is serving her second term on the Board of Education and served as president in 2015 and 2016. Jesse Truett is a career educator with 20 years experience in traditional school districts and community schools. Cited by Columbus Business First as one of “20 People to Know in Education,” Jesse has strong roots in K-12 public education across Ohio. Jesse earned his bachelor's degree from Otterbein University and his master's degree in Educational Policy and Leadership from The Ohio State University. He began his career teaching at Westerville North High School. In 2002, Jesse became an assistant principal at Newark High School, and three years later he was selected to be the head principal. In 2008, Jesse became the principal of Grandview Heights High School where he utilized research, community input, and feedback from students and staff to create a long-term strategic plan to ensure the continued growth of this excellent-rated school’s academic program including the development and expansion of advanced placement coursework. In 2011, Jesse had the opportunity to join the Ohio Alliance for Public Charter Schools to create a performance management program to provided data and assessment professional development to Ohio’s community schools via a $2 million grant awarded from the Ohio Department of Education’s Straight A Fund. In 2017, Jesse became the Chief of Staff for Performance Academies which has 12 public schools across Ohio and three in Detroit, Michigan. Jesse has been a member of the Grandview Heights Board of Education since 2014. He was re-elected to the Board of Education in November 2017 and thus is serving his second term. He currently serves as president. He and his wife, Karen, have three children and have lived in Grandview Heights since 2008. 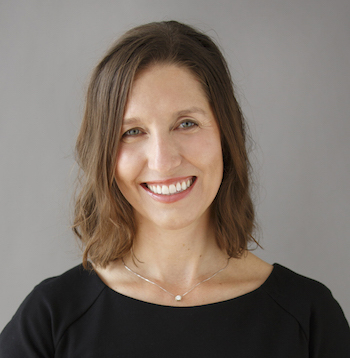 Molly Wassmuth graduated from The Ohio State University and began her teaching career in 2004 in the Columbus Public School district, teaching at Mifflin and Briggs High Schools. In 2008, she moved to Westerville North High School where she now teaches Spanish. While working as a teacher, Molly has served as World Languages Department Facilitator, Faculty Representative at Large, Lobby Day participant, Mid Atlantic Organizing Regional Conference participant, and National Educational Association representative and state delegate. Molly earned a Master Teacher Certification from the Ohio Department of Education, a Teacher Leadership endorsement from The Ohio State University, and in the spring of 2018 she will complete her administrative license in education at The Ohio State University. In recent years, Molly has traveled to Nicaragua and Honduras where she supported the Arms of Love orphanage. Through these programs Molly has worked with children of all ages while engaging in a variety of service projects. Molly is serving her first term on the Board of Education having been elected in November 2017. 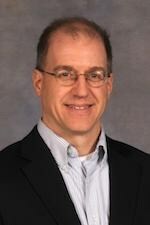 Eric Bode is currently the Finance Director for the College of Food, Agricultural, and Environmental Sciences at The Ohio State University. He was previously a Senior Finance Administrator at the Ohio School Facilities Commission and the Ohio Department of Education. He earned his bachelor's degree from the School of Foreign Service of Georgetown University and his Master's degree in Public Policy from Harvard University. Eric has been a district resident for over 20 years. He and his wife, Annie Murray, have three children - Maya, a Grandview Heights Schools graduate who now attends The Ohio State University and Jonah and Kieren who are presently Grandview Heights High School students. Eric has held numerous volunteer roles in the schools and community including coaching, Bobcat Boosters, boys soccer boosters, Y-Tribes, and Science Olympiad. Beginning in 2015, Eric served as a community member on the school district's Facilities Task Force advising the Superintendent during the facility planning process. He previously served on the Superintendent' Legislative Committee. He is serving his first term on the Board of Education having been elected in November 2017. Melissa (Dunlap) Palmisciano is Corporate Counsel at White Castle System, Inc. She earned her law degree from The Ohio State University Moritz College of Law and her undergraduate degree from the United States Naval Academy. At White Castle, Melissa handles legal matters ranging from intellectual property and real estate to litigation management, contract review, and daily HR advice. Before joining the White Castle team, Melissa practiced in the Columbus offices of Jones Day and Baker Hostetler. Before entering civilian practice in 2010, Melissa served more than 11 years on active duty in the U.S. Marine Corps. She initially served as an Aviation Intelligence Officer and following law school, she served as a Judge Advocate (JAG) in Beaufort, South Carolina, as defense counsel, prosecutor, and as staff legal advisor responsible for the delivery of legal advice to senior leadership, ethics compliance, policy formulation, and crisis management. Melissa is presently a Lieutenant Colonel in the U.S. Marine Corps Reserve and also serves on the Board of Directors for Operation Legal Help Ohio, a non-profit dedicated to providing pro bono legal assistance to low-income military members and veterans, and the Marine Corps Scholarship Foundation, a national non-profit that provides need-based academic scholarships to children of U.S. Marines and Navy Corpsmen. She is a member of the Columbus Business First Forty Under 40 Class of 2016 and is a 2018 recipient of the Ohio School Boards Association Award of Achievement. Melissa and her husband Matt have three children and relocated their family to Grandview Heights in 2010. She has been a regular classroom volunteer since her oldest entered kindergarten in 2011 and is involved in her children's academic, athletic, and artistic ventures. Elected in November 2015, she is serving her first term on the Board of Education and is serving her second year as Vice President. She is the board liaison to the Grandview Heights City Council and on all economic development matters. She has also served on the Policy, Communications, and Finance Committees.